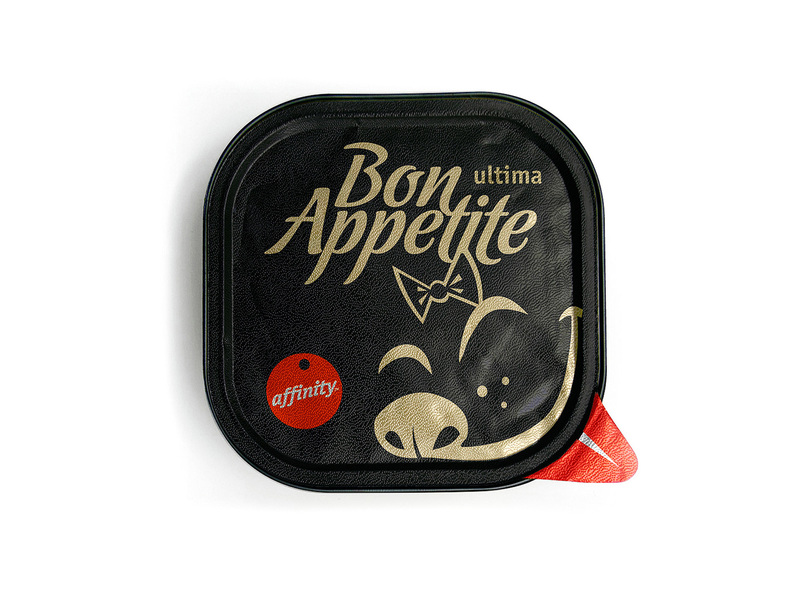 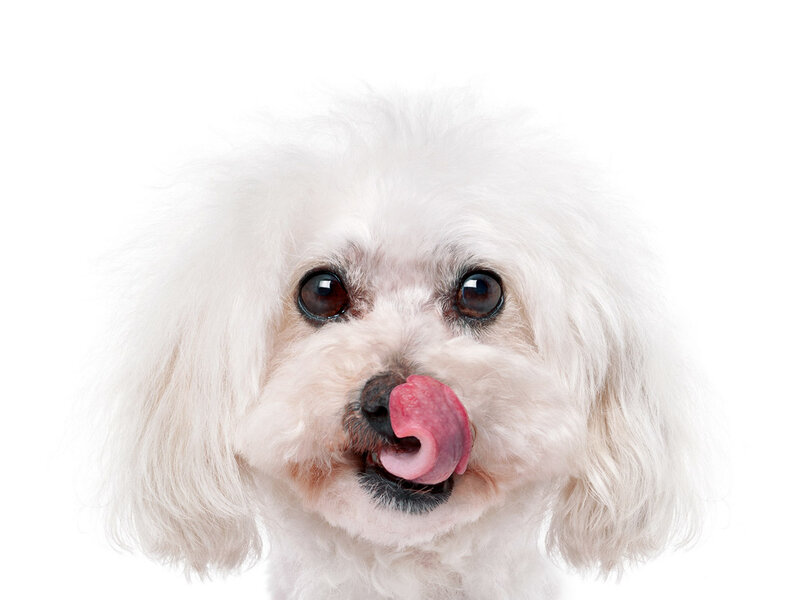 Affinity Ultima 'Bon Appetite' is a gourmet mini dog food line. 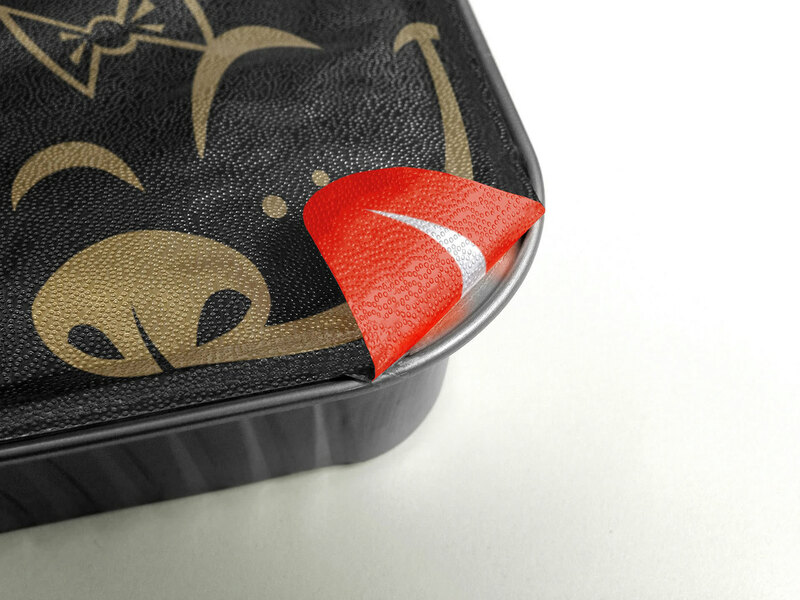 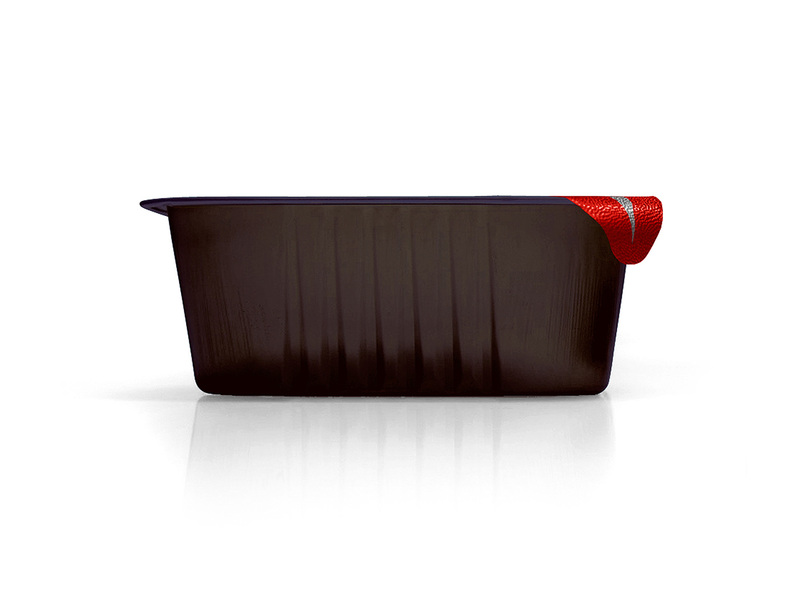 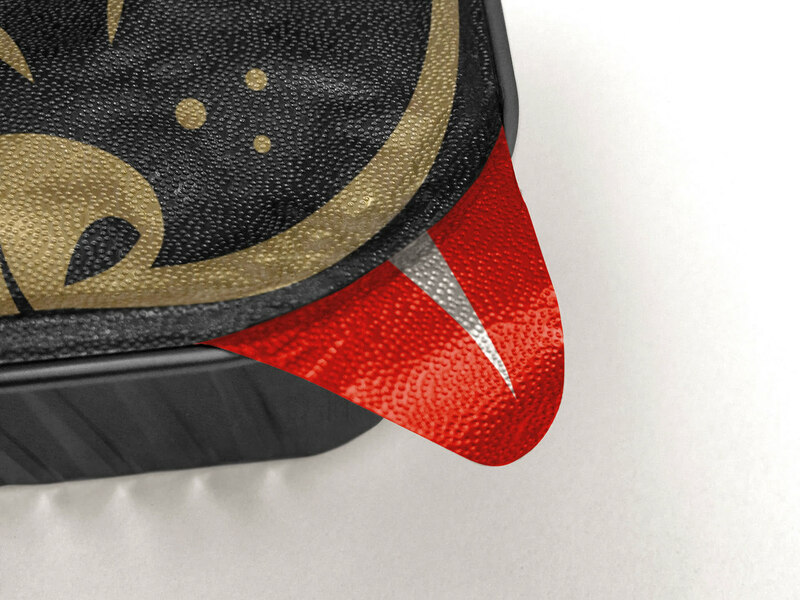 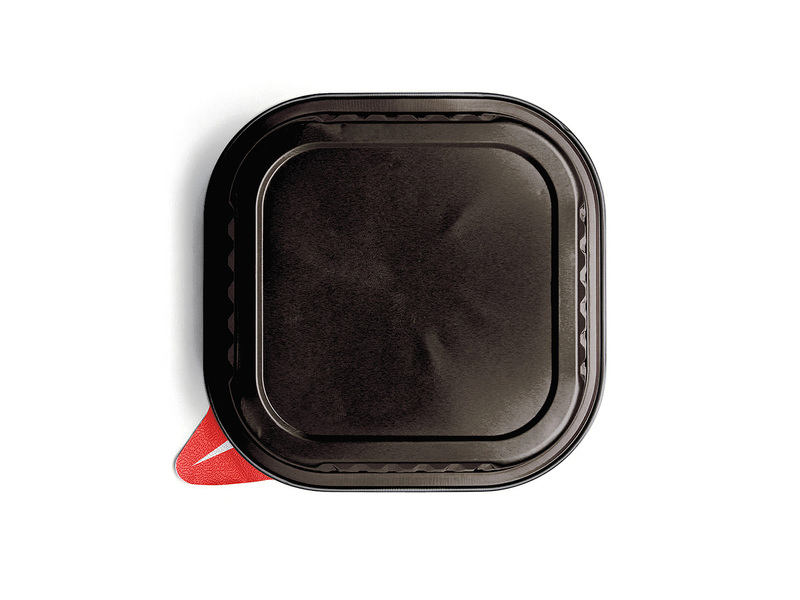 The key concept to communicate was the excellent taste, so the tab, used to pull the lid off, is painted red to represent the tongue of a happy dog, giving the packaging an unexpected design element that is eye-catching on the selves. 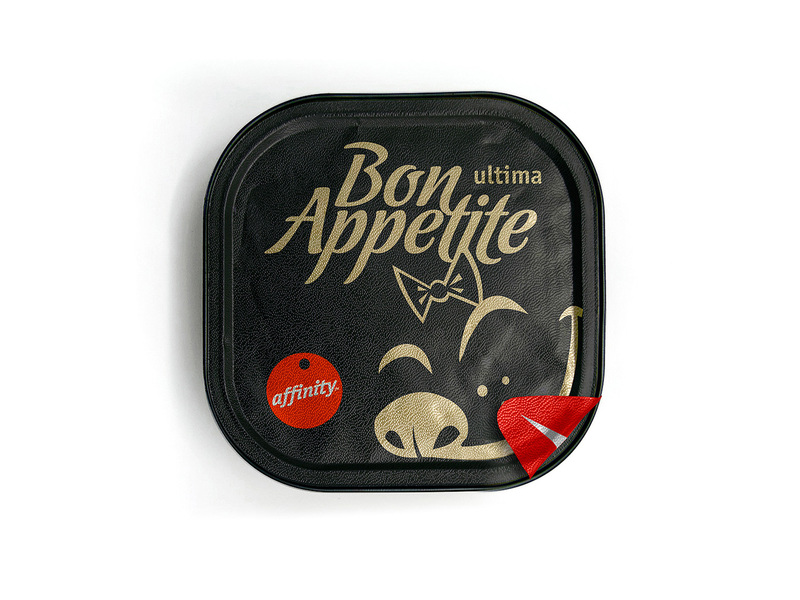 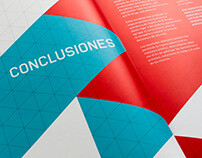 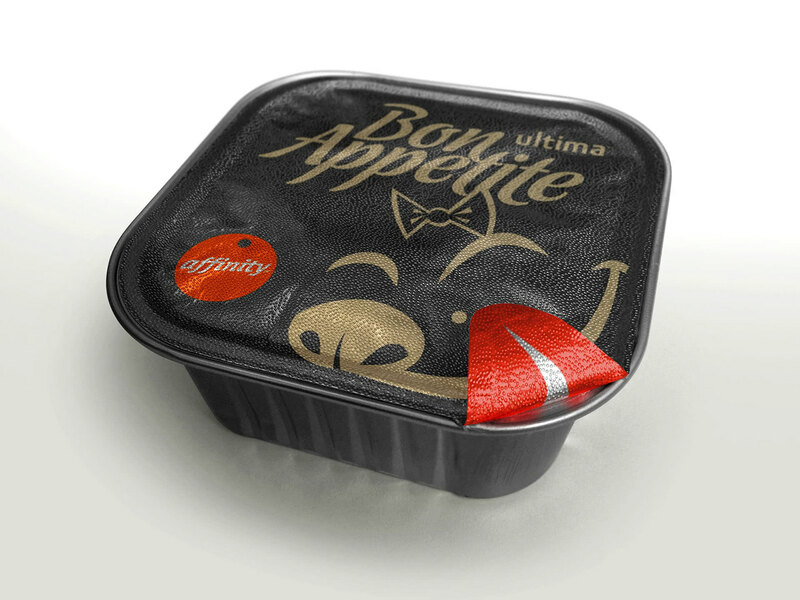 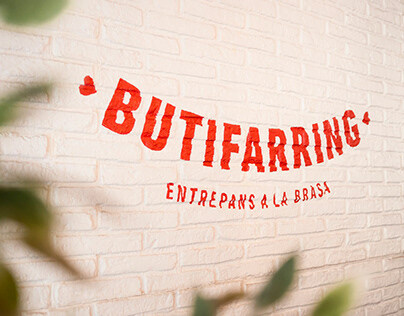 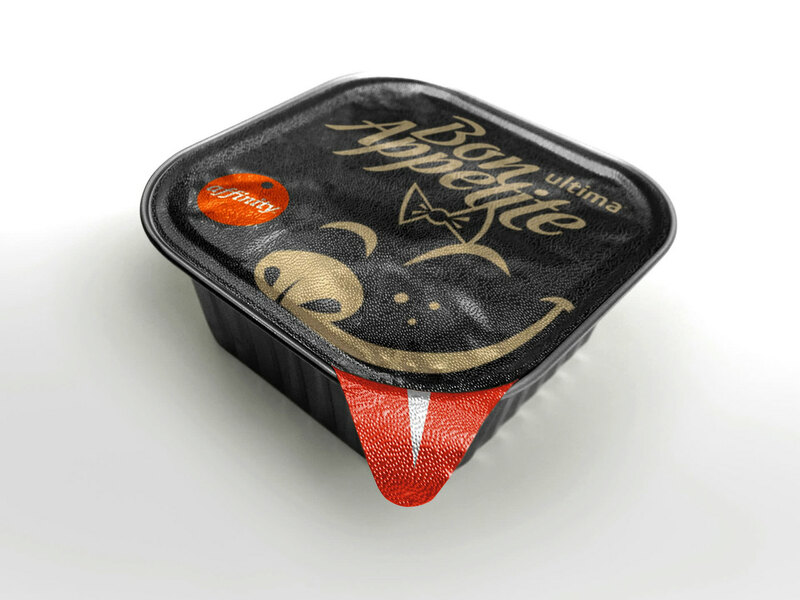 Affinity Ultima Bon Appetite packaging proposal decoration.